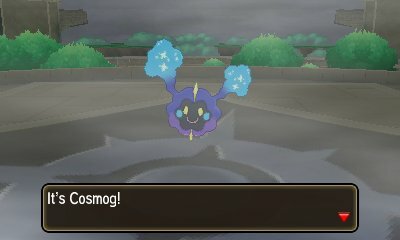 After you have defeated Necrozma, when you return to the Altar of the Sunne or the Altar of the Moone depending on your game, you will find that there's still a wormhole remnant. This is actually a small wormhole that you actually have the ability to go through, but there are a few conditions. First it allows you to go through to Ultra Space and Ultra Megalopolis First, you need to have either Solgaleo or Lunala (or Necrozma's fused forms) in your party. Second, the wormhole only opens up at certain times. The alternate world essentially inverts the time, so Day becomes Night and Night becomes day. 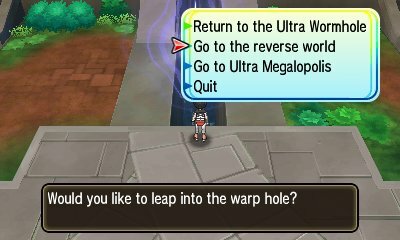 This isn't a version exclusive feature, so if you trade Lunala over to Pokémon Ultra Sun, you'll be able to activate the wormhole during the day. Despite this, this feature does not change the wild Pokémon you'll encounter, so if you're playing Ultra Sun you will still encounter Vulpix rather than Sandshrew, and Rockruff & Cosmoem will still evolve into the version specific evolutions. 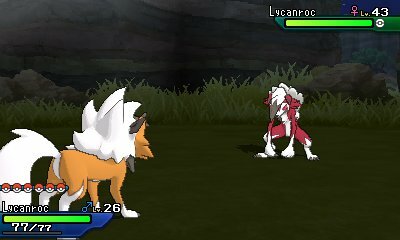 Another reason to do this is Lycanroc Dusk Form. 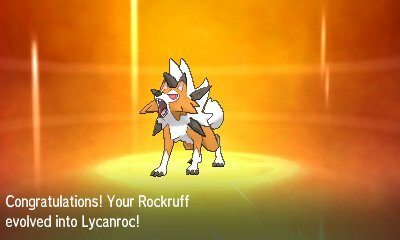 In Pokémon Ultra Sun, to evolve the Own Tempo Rockruff into Lycanroc, you just have to level it up to Level 25 or higher between 5pm and 5:59pm. However, in Ultra Moon this is a bit trickier as, due to the inversion of time, you'd need to be awake at between 5am and 5:59am. Using the Reverse World is a good way to get around this, as it would then allow for you to switch to have the time by 5pm and 5:59pm while in the Reverse World.